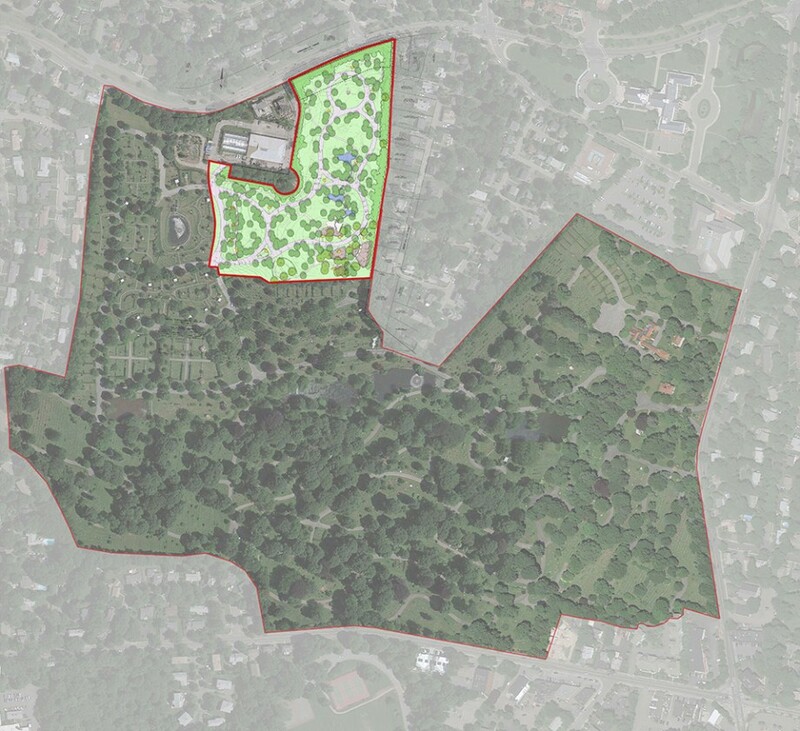 CRJA-IBI Group recently developed a Master Plan for cemetery expansion at the historic Newton Cemetery in Newton, Massachusetts. Commissioned in 1865, this 100-acre cemetery was initially designed in the Garden Cemetery tradition common to its local contemporaries, Mt. Auburn and Forest Hills Cemeteries. Working with an appointed Design Committee, CRJA-IBI Group was the prime Master Planning consultant overseeing the work of horticultural soil scientists, civil engineers and irrigation designer to develop concept drawings for the last 10 acres of the cemetery property, historically used as soil storage and general maintenance purposes. 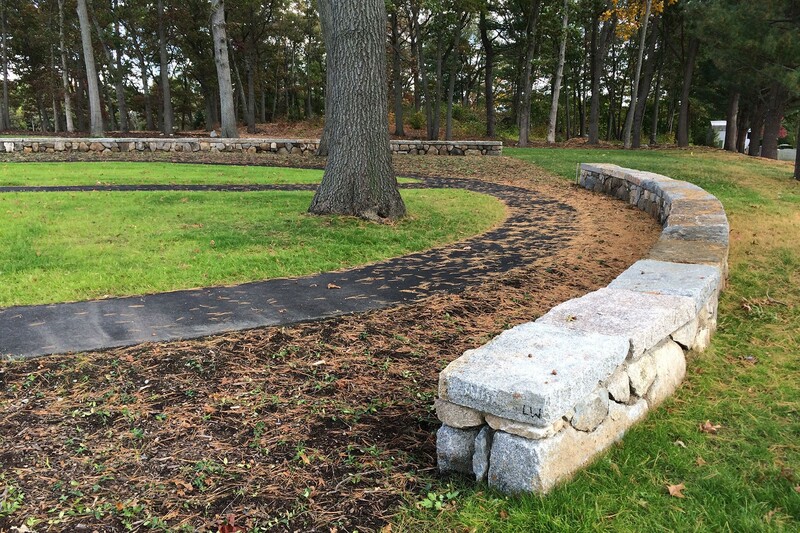 CRJA-IBI Group adapted historic garden cemetery design themes from the oldest and most lovely sections of the Newton Cemetery for use in the 10-acre expansion area. Utilizing themes of curvilinear roadways, gentle topography and tree planting found in the historic cemetery, CRJA-IBI Group worked with the Newton Cemetery Corporation to develop contemporary design motifs that respond to current interment preferences of cremation, mausoleum development and family plots. 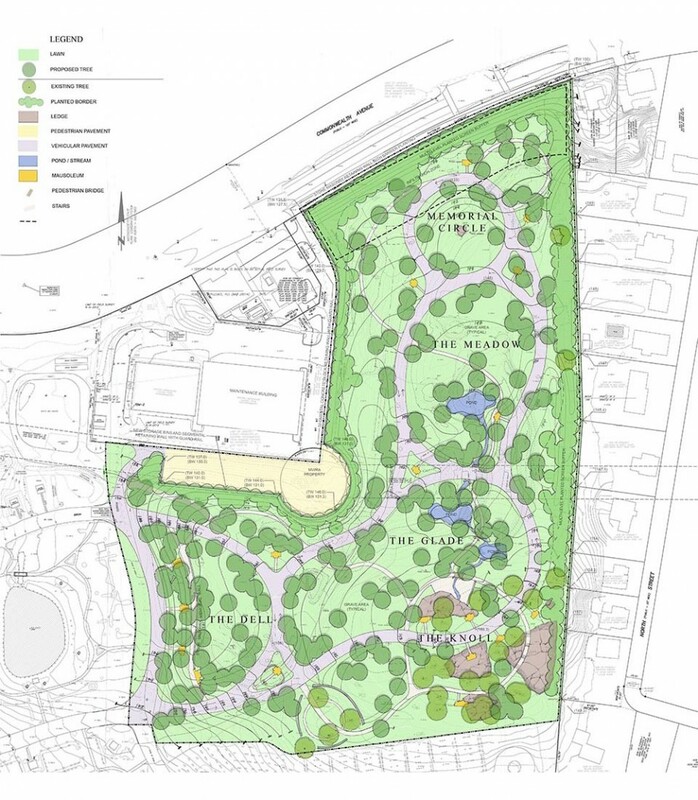 Following completion of the Master Plan, the Cemetery Corporation commissioned CRJA-IBI Group to design and implement phase one of the expansion. This design accommodates a new road, a memorial walk, and grave areas for 700 double depth crypts within an expansion area of approximately three acres. 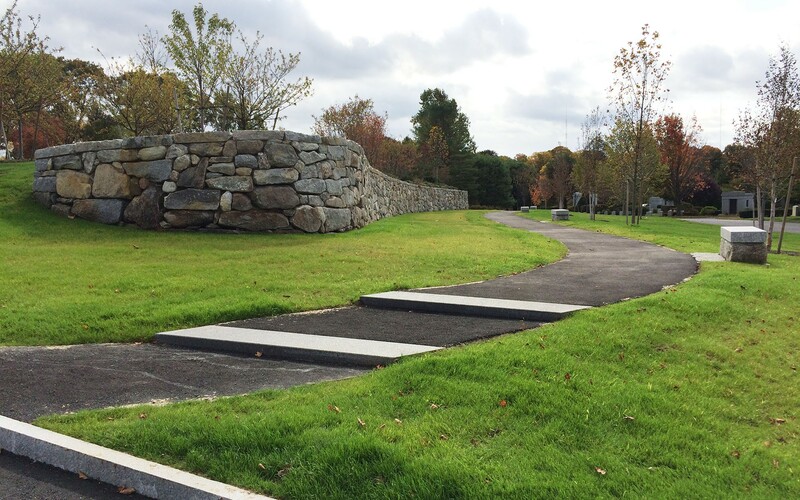 A 200 foot long ornamental stone retaining wall anchors the west facing hillside, forming a striking gateway to the expansion area and backdrop for future mausoleums. 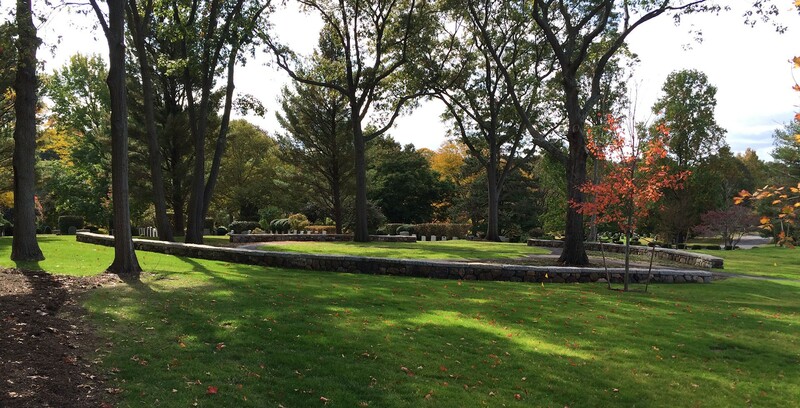 The grading and planting designs evoke the landscape character of the historic cemetery.